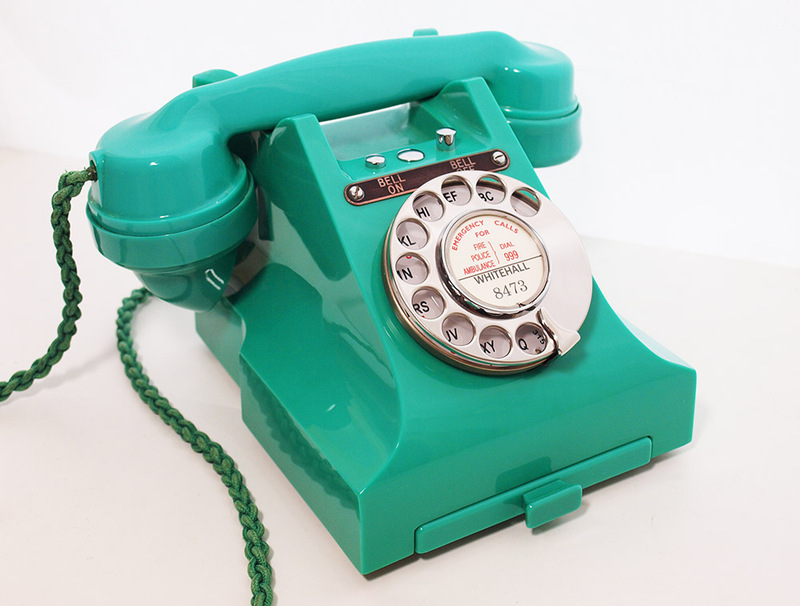 This is a wonderful telephone if your not looking for perfection. 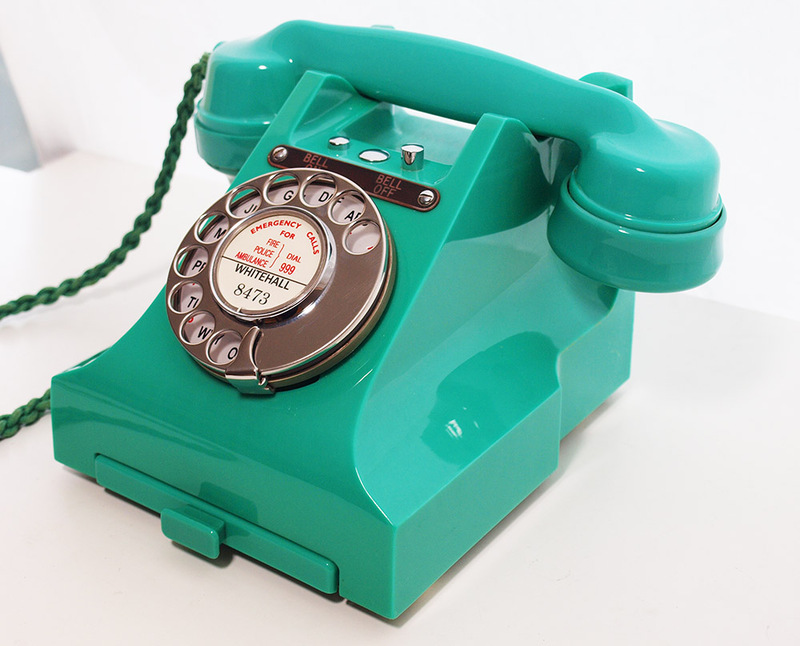 A very rare and sought after telephone and in green almost impossible to find. 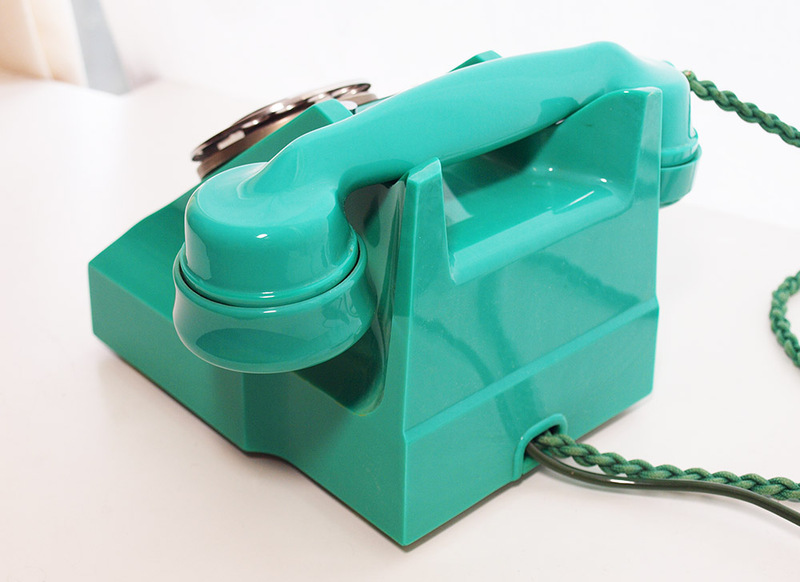 This one is not perfect but still a very nice telephone. As you can see it is a wonderful telephone and has been stripped down and re built after each part has been cleaned and polished. 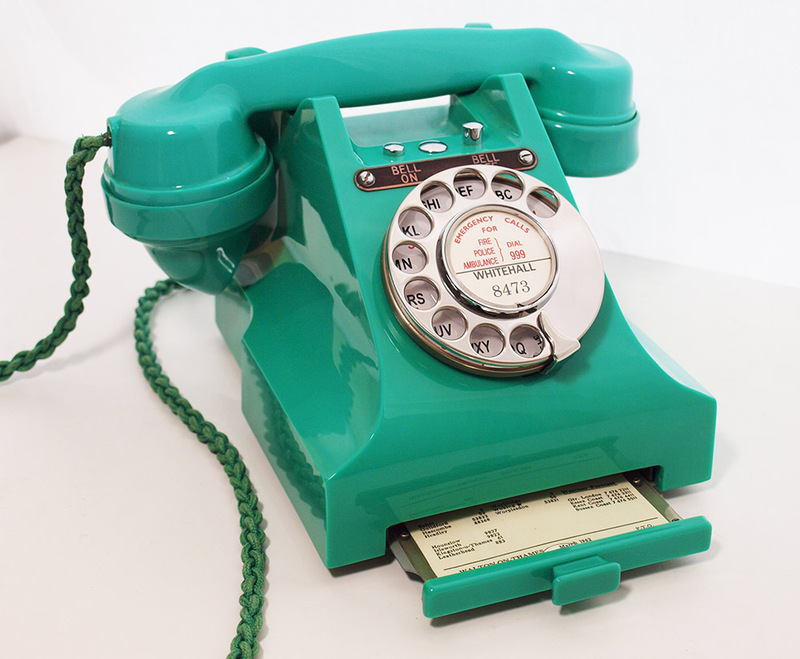 It has its very rare original GPO braided handset cord with only the most minor fraying as it comes out of the handset. If you prefer a best quality reproduction I will change it over at no extra charge. 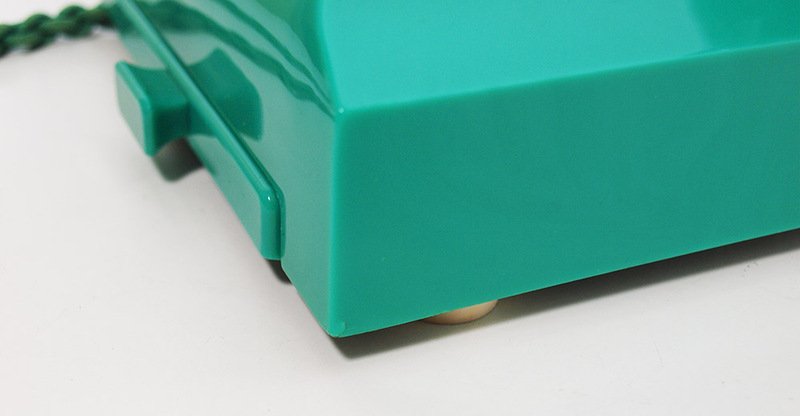 I have fitted a GPO specification green round plastic line in cord with a UK telephone plug socket. It is fitted with an electronic microphone for perfect sound quality. 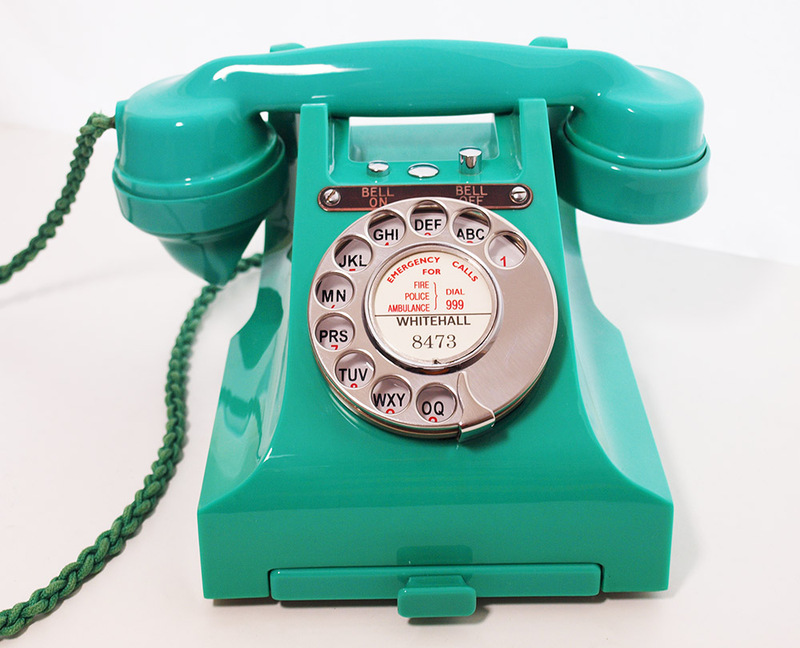 The handset is is dated 1953 and the base 1952 It has a GPO No 12 alpha numeric dial with stainless steel finger wheel. Note the bell on bell off button are wired up and working perfectly and all the internal switching is genuine and original. It is fully tested on a special line simulator and then on our own BT landline to make sure it is working perfectly to both dial out and receive perfectly. 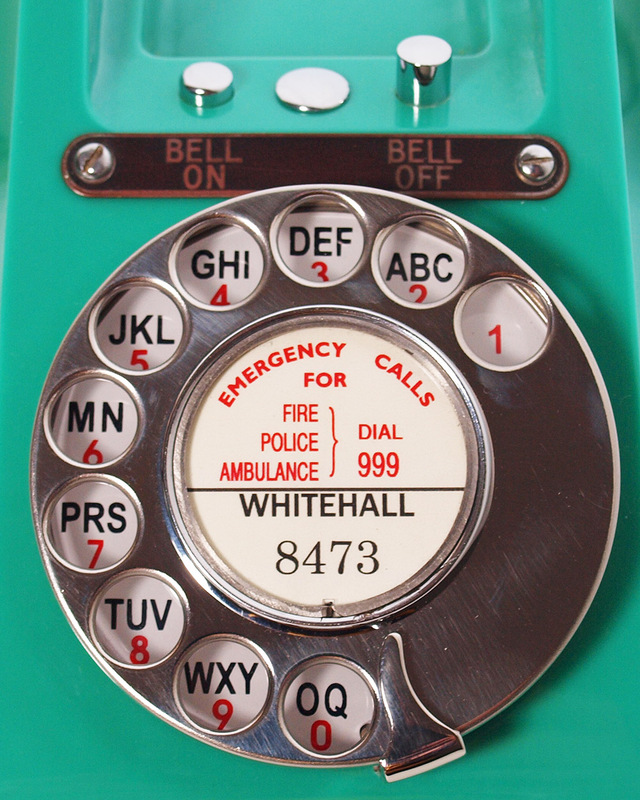 It has some imperfections one of which is a slight fade tot eh the handset and rear of the telephone. Also you will see in one of the pictures a tiny bruise to the front right corner. Otherwise externally it looks great. 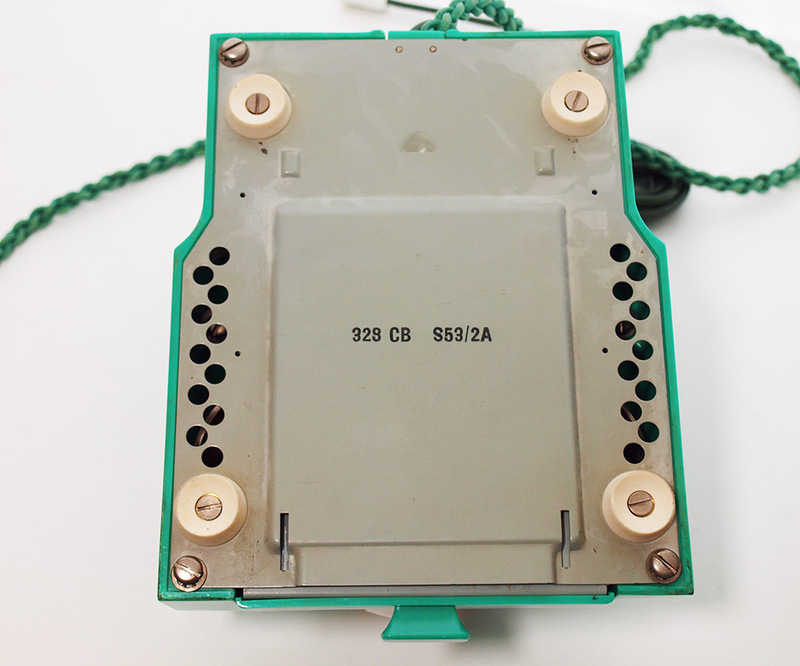 Internally it has the rear chassis location mounting leg missing in the plastic and so is located on the to centre ones but is very firm and will not cause a problem The other screw locations are cracked on the inside only and so unless you open it up you would never know.